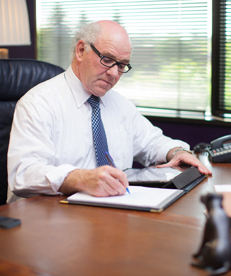 At Burke & Thomas, we focus on tailoring solutions to maximize individual results. We represent injured people seeking recovery and also defend those who are being sued. We’re a team of problem-solvers with insight on both sides of the civil litigation process, and that’s what sets us apart: an informed and balanced perspective that better equips us to solve your legal issues. There’s something more about Burke & Thomas that’s harder to quantify. They have a big firm feel with the personality of a small firm. It’s hard to make it objective – they just do a really good job.